G FrSH is one of those motivational rappers who, if you’re grinding in the hood or sitting at a desk during your 9-5, will give you that much-needed determination to carry on stacking throughout the day. 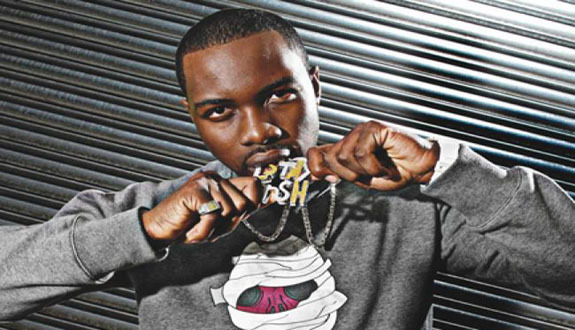 Starting his music career in 2004, G FrSH made it very clear that every lyric he planned on releasing in the atmosphere would be an honest representation of himself, and he has definitely kept his word. Much like his alias, G FrSH loves the finer things in life and isn’t afraid to share his penchant for the pound sign with the masses – something which he has gained thousands of fans around the UK for. His laid-back delivery has also been a winning factor in his mass appeal. Currently signed to EMI/Parlophone, managed by Tinie Tempah’s Disturbing London team, and a healthy mixtape back catalog under his (designer) belt, the south London rapper is fully prepared to take on the global hip-hop music scene on a mainstream level. Having just finished playing quite a major role in the new Offender movie, the LEGOMAN has also proven to himself, and others, that he is more than just a money man who can rap. This week’s “UK Video Of The Week” comes from G FrSH, with his Daily Duppy freestyle for GRM Daily. WARNING: If you’re not about your paper, then I suggest you look away now!